Previous image, 100 total items. Next image, 100 total items. Visit the sunny “land down under.” Surf, explore rainforests, dive in underwater wonderlands and see kangaroos, koalas and emus. Australia is a vast land with beautiful beaches, unusual bush animals, more than 60 wine regions and fascinating cities. Join a Cairns dive tour to swim among the Great Barrier Reef’s colorful fish and coral. Explore rainforests and watch crocodiles in nearby Daintree. Surf and swim on the Gold Coast and Sunshine Coast. Walk along Brisbane’s pretty river. At the Lone Pine Koala Sanctuary, watch the cute creatures eating eucalyptus or sleeping. Let colorful rainbow lorikeets land on your arms at feeding time. 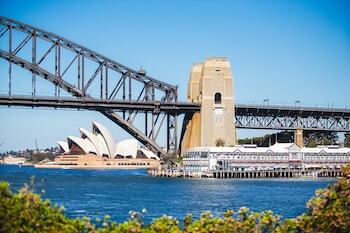 In Sydney, ride the train to Circular Quay to shop, dine and meet new people. The Sydney Harbour Bridge Climb provides glorious city views. Attend a performance at the iconic Sydney Opera House and stay after dark as it lights up in brilliant colors. Ferry to Taronga Zoo and spend the night. Swim at Coogee Beach’s ocean pool. Then do the Bondi to Coogee Beach Coastal Walk in reverse to reach famous Bondi Beach, where you can surf and sunbathe on golden sands. Watch sports at the Melbourne Cricket Ground. Bike through Melbourne to the Royal Botanic Gardens or cruise along the river to enjoy the city’s magnificent skyline. The Great Ocean Road drive offers many stops to view the rugged shoreline. Stop in Canberra, the national capital, to see the Royal Australian Mint, the High Court and numerous museums, monuments and galleries. Learn the meaning of ANZAC and reflect upon many important contributions of the Australian military. Inland, visit the Blue Mountains, with ridge after ridge of beauty. Travel north to national parks to see exotic wildlife, including kangaroos, emus and large goanna lizards. Uluru, previously known as Ayers Rock, is an unbelievably massive red sandstone formation rising from flat plains near Alice Springs. Visit Adelaide for watersports on the Great Australian Bight. In Perth, look west to a sunset over the Indian Ocean. Enjoy Australia’s friendly people, delightful wines and warm weather throughout the year. Ocean waters are warmest during the Southern Hemisphere summer, December through February. 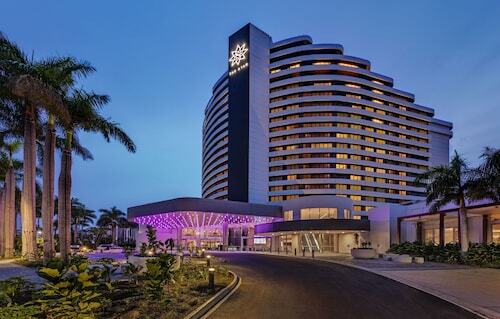 Enjoy pristine beaches, lush rainforest and exciting cities in this area north of Brisbane, famous for its surf breaks, fresh seafood and laid-back locals. Escape urban life and head to the countryside to enjoy the local produce, history and scenery of Australia’s oldest wine region. Explore one of Australia's most scenic places, home to magnificent peaks and waterfalls and charming villages. History and heritage go hand-in-hand with designer fashions and ultramodern architecture on Melbourne’s showcase street. Unspoiled white sand, crystal-clear blue water, swaying palm trees and stunning views of the ocean make this one of the most picturesque beaches in town. Delve into Tasmania’s dense temperate rainforest and find a mighty waterfall tumbling from a precipice of moss-covered rocks at the end of a pleasant stroll. Hop over a chain over islands to the Southern Great Barrier Reef or find your personal paradise on a secluded beach on the shores of the Tropic of Capricorn. Encounter the largest living structure on the planet, see crocodiles, swim in waterfalls and hike through pristine rainforest in Australia’s Tropical North Queensland. 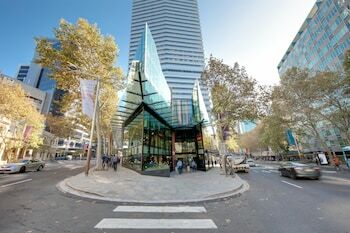 Located in Melbourne Central Business District, this motel is within a 15-minute walk of Flagstaff Gardens and Marvel Stadium. Melbourne Central and Queen Victoria Market are also within 1 mile (2 km). Flagstaff Station is 7 minutes by foot and Spencer Street Station is 8 minutes. 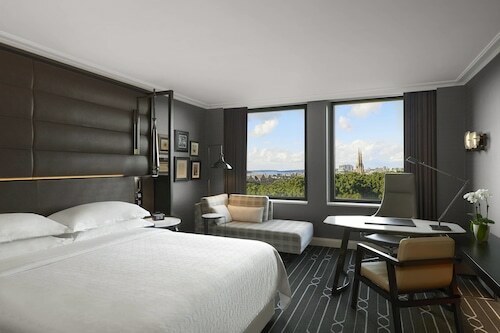 Located in Sydney Central Business District, this luxury hotel is within a 15-minute walk of Sydney Tower, Royal Botanic Gardens and SEA LIFE Sydney Aquarium. 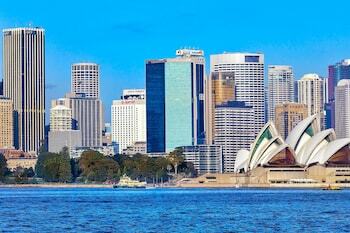 Sydney Opera House and The Rocks Markets are also within 1 mi (2 km). St. James Station is only a 4-minute walk and Martin Place Station is 6 minutes. 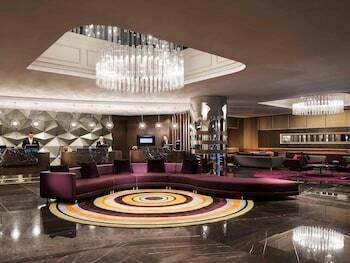 Located in Darling Harbour, this luxury hotel is steps away from Wildlife Sydney and SEA LIFE Sydney Aquarium. Sydney Tower and Sydney Town Hall are also within 10 minutes. Wynyard Station is 9 minutes by foot and Town Hall Station is 10 minutes. 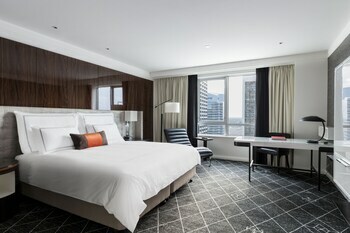 Located in Melbourne Central Business District, this hotel is within a 15-minute walk of Marvel Stadium and DFO South Wharf. Melbourne Convention and Exhibition Centre and Festival Hall are also within 1 mi (2 km). Spencer Street Station is 6 minutes by foot and Flagstaff Station is 20 minutes. Situated in Mascot, this luxury hotel is within 6 miles (10 km) of Enmore Theatre, University of Sydney and Royal Prince Alfred Hospital. 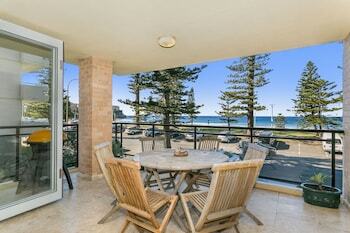 Coogee Beach and Maroubra Beach are also within 9 miles (15 km). International Airport Station is 8 minutes by foot and Wolli Creek Station is 27 minutes. 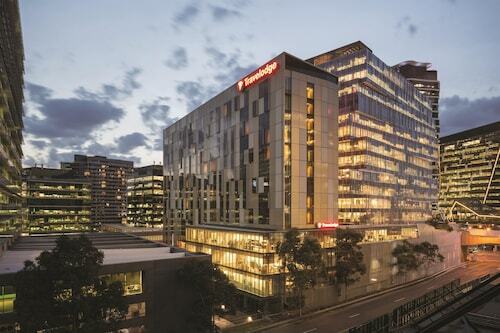 Located in Sydney Central Business District, this luxury hotel is steps away from Castlereagh Street, Pitt Street Mall and Martin Place. Sydney Tower and SEA LIFE Sydney Aquarium are also within 10 minutes. Martin Place Station is only a 4-minute walk and Wynyard Station is 6 minutes. Glasgow Intl. 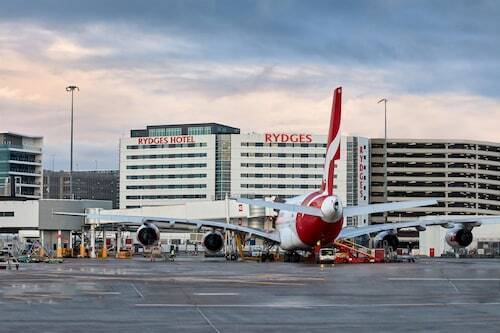 - Kingsford Smith Intl. Manchester - Kingsford Smith Intl.